Before Disneyland was built here in 1955, Anaheim was a sleepy farming community of fewer than 15,000 residents. Orange groves gave way to tourism and real estate developers soon followed. Land in the swiftly growing Los Angeles-Orange County megalopolis became much more valuable as building sites than as farmland. Then came the housing bubble -- and real estate speculation drove prices into the stratosphere. Anaheim's housing bubble inevitably burst and home prices fell some 40%. Prices have since stabilized. Yet despite the precipitous drop, median home prices are still lofty enough to rank the market as the third most expensive in the nation. 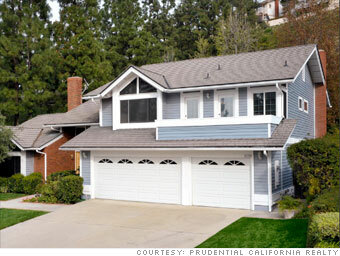 Median home price data is for the first three months of 2011 and was compiled by the National Association of Realtors.